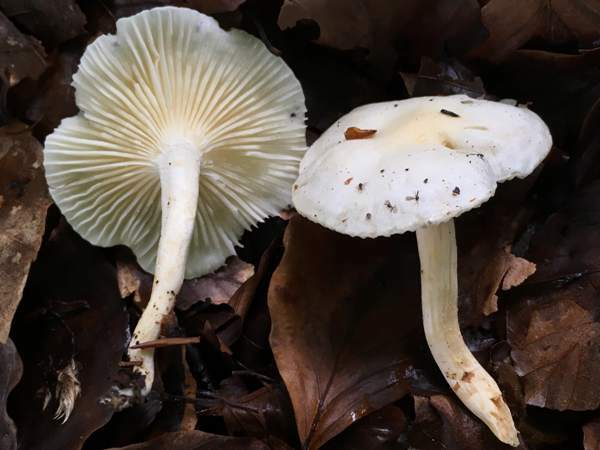 A very rare woodwax of broadleaf and occasionally coniferous woodland, the Sweet Waxcap is a mycorrhizal species most often recorded in ancient or semi-natural woodland with mature broadleaf trees. 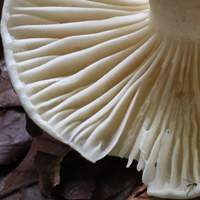 Hygrophorus hedrychii is rare in Britain and Ireland. The Sweet Woodwax is also found in northern and central mainland Europe. 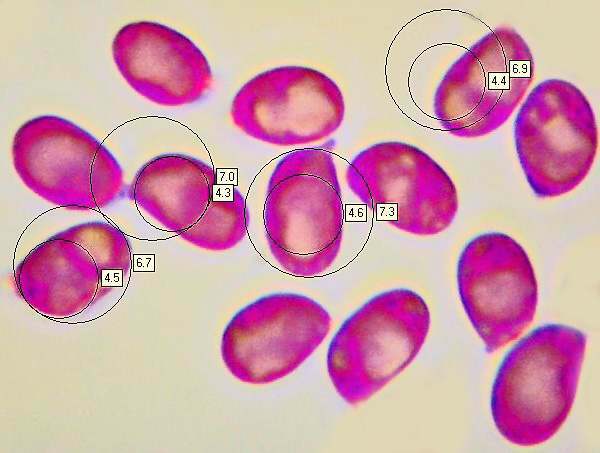 The basionym of this species was established in 1920 when it was described scientifically and named Limacium hedrychii by Czech mycologist Josef Velenovský (1858 - 1949). The currently-accepted scientific name Hygrophorus hedrychii dates from a 1956 publication by Czech mycologist Karel Kult (1917-1998). Synonyms of Hygrophorus hedrychii include Limacium hedrychii Velen. and Hygrophorus eburneus var. carneipes Kühner. Hygrophorus, the genus name, comes from hygro- meaning moisture, and -phorus meaning bearer. Not only do these fungi contain a lot of water (as do most other mushrooms, of course) but they are also moist and sticky to touch. The specific epithet hedrychii honours Ehren von Job. Hedrych, for many years head gardener at the Botanical Garden of the Czech University in Prague. 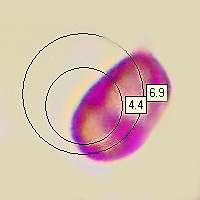 White or ivory with buff tints in the centre; convex, becoming flat with a central umbo; very slimy; 3 to 6cm across; margin involute. White at first, developing a yellowish tinge; distant; decurrent. 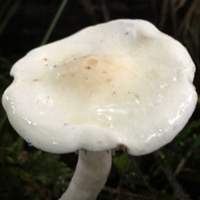 White; tapering slightly towards base; usually curved; 3 to 7cm long, 0.5 to 1cm diameter. The stems of mature specimens usually become hollow and have pinkish-cream flesh. Broadly ellipsoidal, 6-9 x 4-5μm. Strong odour said to be reminiscent of crushed Goat Moth larvae - similar to Hygrophorus cossus; taste sweet. Mycorrhizal; in broadleaf and mixed woodland, most often under birch or beech on calcareous soils. 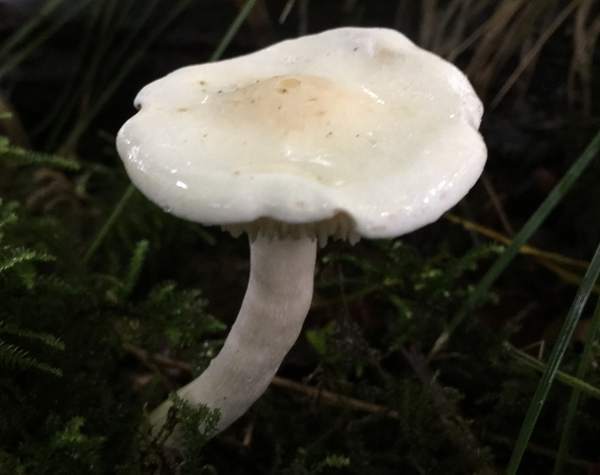 The Snowy Waxcap, Hygrocybe virginea, is a common and gregarious little grassland mushroom with a white or ivory cap. Because of its rarity the Sweet Woodwax should not be collected except for essential scientific study.